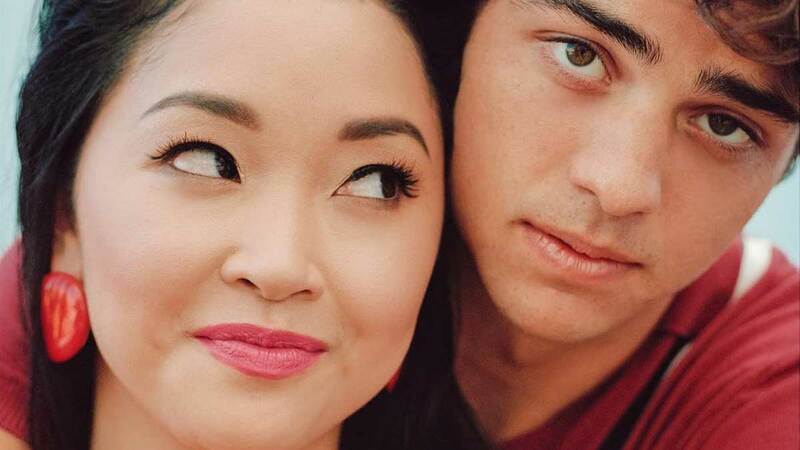 While we would absolutely love to see Noah Centineo and Lana Condor together in another rom-com, they've been working on separate projects for the past year. Yes, these adorable actors were hard at work while we've been waiting for To All The Boys I've Loved Before to be released. In this retelling of the classic play Cyrano de Bergerac, Noah plays another popular high school student named Jamey who's caught in a...well, web of lies. But this time, he's the one being lied to. Jamey thinks he's texting resident mean girl Veronica (Kristine Froseth), but he's really chatting with not-so-popular Sierra (Shannon Purser). The film will be released on Netflix on September 7. Lana isn't like sweet, demure Lara Jean in this film! In Alita, Lana plays Koyomi, an orphaned teen who's also a photojournalist. It looks like she's determined to bring more comic book characters to life. Alita is based on the Japanese manga of the same name and features a cybernetics doctor (Christoph Waltz) who finds a broken cyborg (Rosa Salazar) and decides to reanimate her. You'll be able to catch it in theaters this December! He's starring in this movie with Camila Mendes from Riverdale! Noah plays Brooks, a college student who decides to create a dating app with a twist: he's a stand-in boyfriend for anything you need an S.O. for: family gatherings, dates, you name it (sounds INTERESTING, where can we download this app?!). However, switching personalities and dates every night starts to take a toll on him and he slowly discovers who he truly is and finds love along the way. It's coming out sometime in 2018. Deadly Class, a TV series for Syfy, tells the story of a homeless teen (Benjamin Wadsworth) who's recruited into an elite private school for assassins where the world's top crime families send their next generations. Yes, assassins. And Lana's one of them. She plays Saya, a girl with a deadly reputation who was banished from one of the top Yakuza clans in Japan. We're loving the new look a.k.a. her short, angsty bob. It won't be out 'til next year, though!